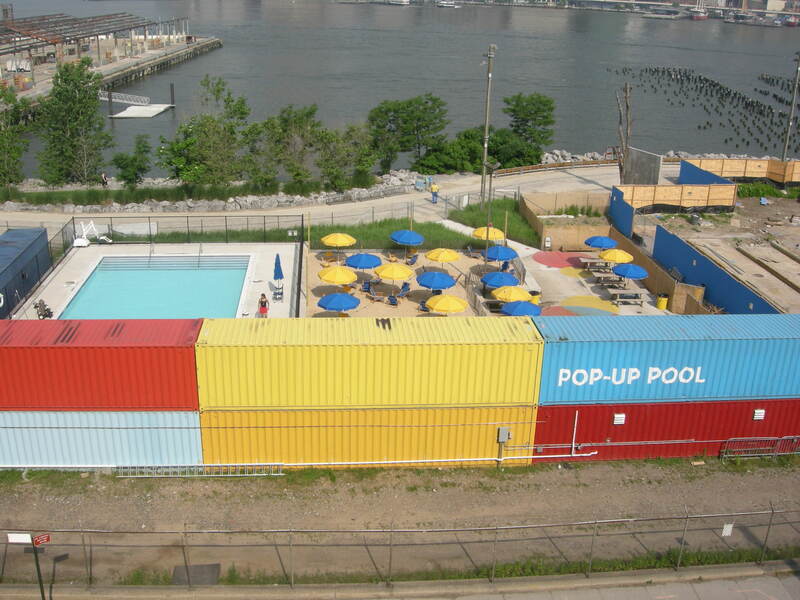 After five years of having a pop-up pool at Pier 2, Brooklyn Heights is getting its own permanent public pool. This morning, Brooklyn Bridge Park officially announced plans to build a pool at Squibb Park, above Pier 1 near the Pierhouse condo. 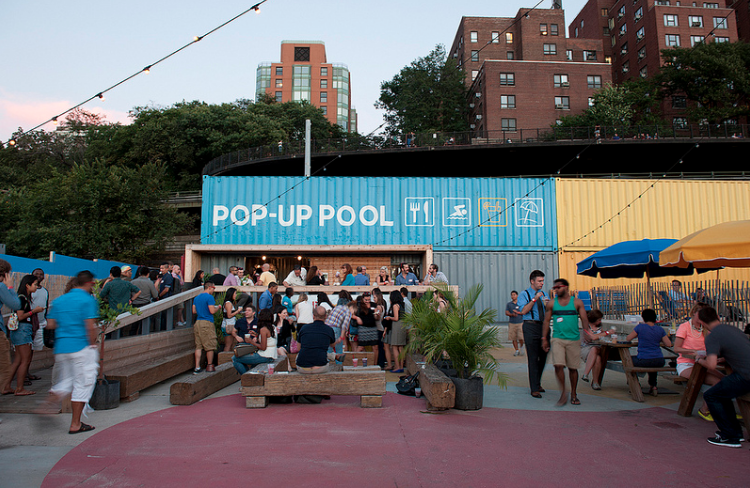 Together with the NYC Parks Department, BBP will develop, operate and maintain the pool and future amenities. Tentatively, the pool is scheduled to open in 2020, with community planning sessions to be held this summer and fall ahead of issuing a Request for Design Proposals. Construction costs of a pool at Squibb Park is estimated between $10-$15 million, funded by BPP (one-third) and the rest through a public-private partnership with the Brooklyn Bridge Park Conservancy. Midtown Equities, Alloy Development with Monadnock Construction, and DLJ Real Estate Capital Partners have also dedicated funds towards the pool. 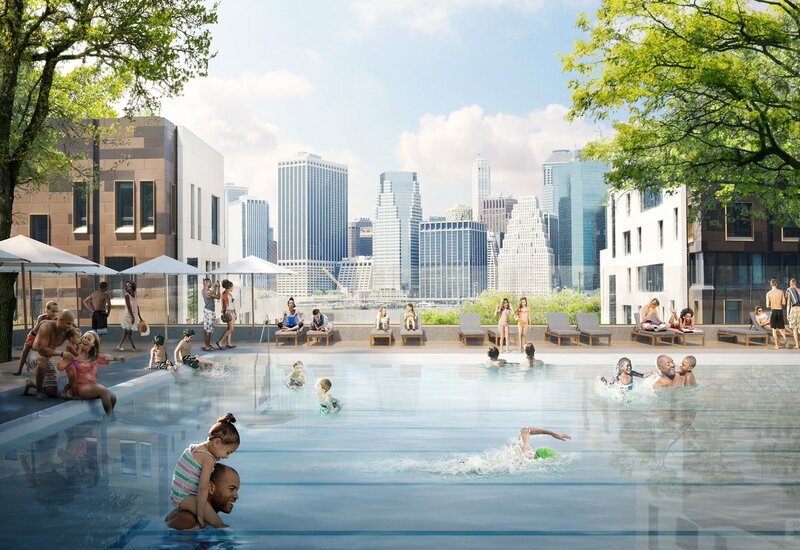 Deputy Mayor Alicia Glen commented, “Brooklyn Bridge Park has been one of the great New York success stories – and the forthcoming addition of a permanent swimming pool means it’s only getting better. 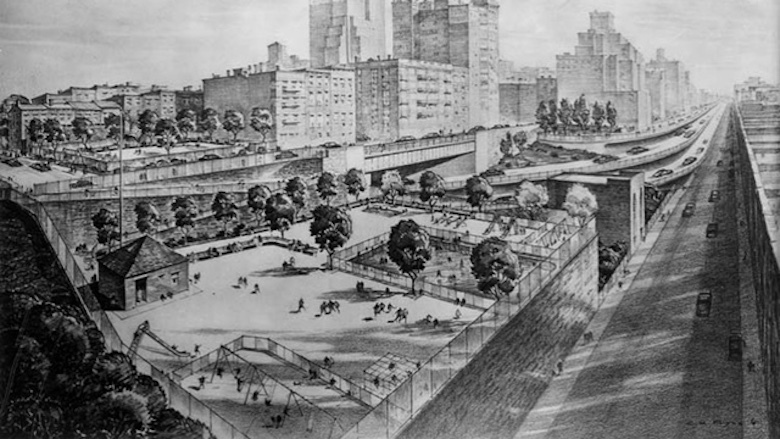 As Gothamist notes, in the 1940s, what is now Squibb Park was once a wading pool.